Lock in a great price for Doolin Hostel – rated 8.9 by recent guests! Very clean accommodations and an excellent location to town and the cliffs. The staff was extremely friendly and helpful. And the food was delicious. Great for any kind of visitor. The kitchen facilities were very well maintained. The breakfast was deliecious although a bit different than your traditional Irish food. Clean Facilities, and quite nice! The rooms were very clean and everything seemed very new. The bathroom was very clean as well. The hostel is very modern looking, rooms clean and adequate spacing. Good continental breakfast. This place is absolutely value for money. I got a bed in dormitory but still I had fantastic stay and experience here. The cleanliness is superb. Though the toilet/bathroom is shared its very clean. The breakfast served is good (basic though) and good quantity. The plates/kitchenware and overall kitchen was clean throughout the day. Electric kettle, coffee powder, tea bags and sugar are available througout the day and for everyone. I paid only 26 Euros for one night but had a fantastic experience. Staff were super friendly, place was extremely well kept and excellent location close to everything you’d want to see! Good Hostel experience, stayed 6 person women's dorm. Very close to O’Connors and that was why we stayed here. We arrived late and the staff at Doolin hosel were extremely accommodating. 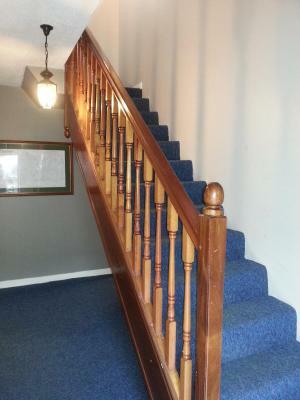 This hostel is excellent value for money and in a great location. I would highly recommend. Doolin Hostel This rating is a reflection of how the property compares to the industry standard when it comes to price, facilities and services available. It's based on a self-evaluation by the property. Use this rating to help choose your stay! Located in the heart of Doolin, at the foot of the Cliffs of Moher, the award-winning Doolin Hostel overlooks the village and out to sea. Within the Burren National Park, it is just 2 minutes' walk to O'Connors Pub and is at the start of the Cliffs of Moher Coastal Walk way. The 'Doolin Hostel' has dormitory rooms and private rooms with premium bunk beds with individual LED lights, electrical sockets, lockers, private bathrooms. 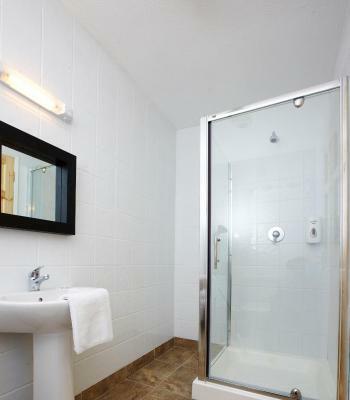 Free WiFi, continental breakfast, linen, towels and parking are all included. 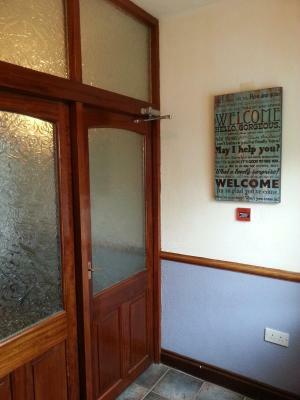 Downstairs are full self catering facilities including a kitchen, dining, living room with stove fire and drying room. 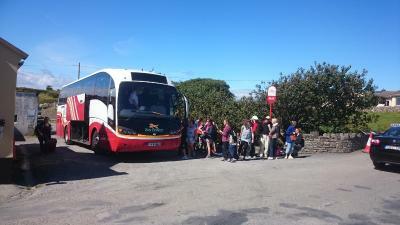 Doolin Hostel also acts as the local Bus Eireann Terminus with Ticket and information office. 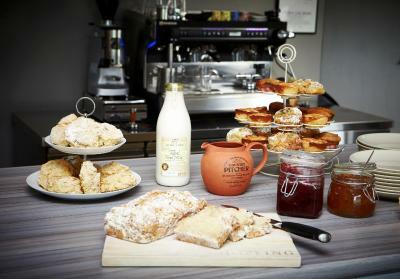 Opposite is the the Doolin Inn Cafe serving home made treats, coffee and local favorites. Trips to one of the 3 Aran Islands can be caught from Doolin Pier, which is a 15-minute walk away. On the Burren Walk Way and the Doolin Cycle Hub, the hostel is ideal for outdoor enthusiasts, with an outdoor wash area and ample equipment storage facilities. Doolin offers fine rock climbing and bouldering activities, with the largest network of underwater caves at the Green Holes of Doolin. This is our guests' favorite part of Doolin, according to independent reviews. 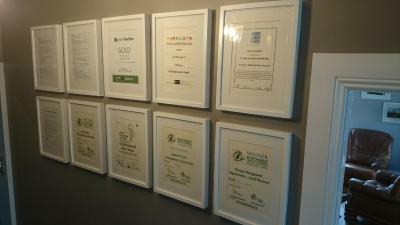 뀐 Located in the top-rated area in Doolin, this property has an excellent location score of 9.3! When would you like to stay at Doolin Hostel? These rooms come with bunk beds with individual LED lights, electrical sockets, individual lockers (locks not provided), linen, towels and a private bathroom. Rooms are decorated with a wooden floor, rug, seating and an area to hang clothes. This room can accommodate up to 2 people max and cannot accommodate additional guests. These rooms have bunk beds with individual LED lights, electrical sockets (UK and European), individual lockers (locks not provided), linen, towels and a private bathroom. Rooms are decorated with a wooden floor, rug, seating and an area to hang clothes. This room can accommodate up to 4 people max and cannot accommodate additional guests. This room can accommodate up to 3 people max and cannot accommodate additional guests. Each bed is sold separately, this is not a private room. Please note that only guests aged 18 years and over are allowed in this dormitory room. Children cannot be accommodated. This room can accommodate up to 5 people max and cannot accommodate additional guests. Doolin Inn and Hostel is two buildings opposite each other managed by the one great team. We are located in the center of Doolin at the bus stop and start of the Cliffs of Moher Coastal hiking trail, overlooking the village and out to sea. 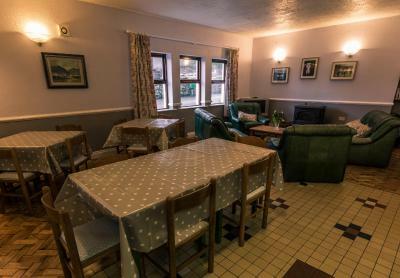 In 2016 we underwent major renovations and extensions to our Doolin Inn building adding more family rooms, improving our cafe, breakfast room, reception and garden areas. In 2015 we renovated all our rooms in our Doolin Hostel Building with new bathrooms, new bunks, living and dining room. We have a simple motto of "improving a little every day" and each day we strive to do just that, with a focus on friendly relaxed service that is professional and offers great value. Doolin Inn is our main building with reception and cafe downstairs and our rooms in this building are more in keeping with a budget hotel or B&B. Opposite is our smaller Doolin Hostel Building which has Hostel type rooms with Bunk Beds and downstairs there are full self catering facilities. House Rules Doolin Hostel takes special requests – add in the next step! Doolin Hostel accepts these cards and reserves the right to temporarily hold an amount prior to arrival. Please note that this property cannot accommodate hen and stag parties. It also does not permit late night drinking on the premises. Please note the kitchen is open for guests in the Doolin Hostel building to use for self-catering from 7.45 until 21.30 only. In the main building there is a cafe and reception open from 8:00 until 21:00. Please note that check-in ends at 21:00. Due to limited reception hours, late check ins must be arranged before hand and cannot be guaranteed. Extra charges will apply. Guests must be at least 18 years of age to stay in dormitories. Please note that only 'Private' rooms offer individual beds and all other rooms offer bunk beds only. Please inform Doolin Hostel of your expected arrival time in advance. You can use the Special Requests box when booking, or contact the property directly using the contact details in your confirmation. Beautiful location, bus stop is just outside. There was nice breakfast. Kitchen is fully equipped. Beds were super comfy. Staff superhelpful. Highly recommended. Clean and quiet rooms, great breakfast for free. Really can’t say there was anything I disliked about my stay here. Awesome breakfast, clean facilities, friendly and helpful staff + wasn’t to busy and had a fire place to keep warm in common area ! More parking facilities are needed,but that's me trying to find fault! We originally booked the 12 person room, but wanted to switch when we got there to a 2 person room and it was no problem! Since the room was available, the staff was very friendly and helpful with allowing us to switch rooms. The breakfast in the morning also was great. This hostel was amazing, good location, confortables bed, and really good shower in the bedroom. Can’t wait to try again! The breakfast was a bit too simple. The beds could be uncomfortable for those who are taller than 6ft. The soap dispenser in the shower was broken and required a little bit of play to get the soap out. The Location is perfect for those who are planning to visit the Islands or the Cliffs of Moher. The room was clean and the sockets are very handy above every bed. Checking in was super easy and simple. The shower is the only thing I can fault. It was either too hot or too cold. Everything else was lovely. The soap dispenser in our bathroom was broken. Th estaff did provide new soap. I wish I had more control over the radiator heater in my room.